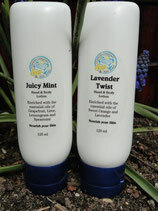 Enriched with Hemp Seed oil and the addition of Cinnamon, Clove, Sweet Orange and Vanilla essential oils. Light in texture and quickly absorbed - never greasy or sticky. Directions: Apply anywhere you want silky soft skin. Avoid eye area. Now with Hemp Seed Oil for incredible skin care benefits! Earthy and romantic, the base notes of Sandalwood, Patchouli, Ylang Ylang and Cinnamon leaf essential oils create a fragrance appealing to both men and women. Light in texture and quickly absorbed - never greasy or sticky. Now with Hemp Seed Oil! Uplifting, invigorating and stimulating for the lymphatic system, Juicy Mint is loaded with Grapefruit, Lemongrass, Lime and Spearmint essential oils. Light in texture and quickly absorbed - never greasy or sticky. With the healing power of Hemp Seed Oil! 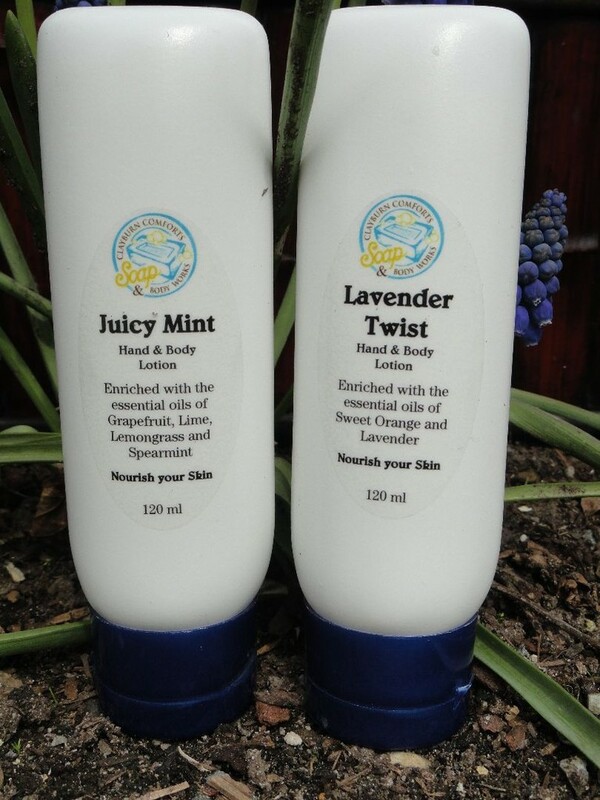 Relaxing, uplifting and soothing - the essential oils of Lavender and Neroli will have you begging for more. Light in texture and quickly absorbed - never greasy or sticky.